The Journal of Bone and Mineral Research published a study conducted by researchers from Tel Aviv University and Hebrew University, which showed that a chemical in marijuana, known as cannabinoid cannabidiol (CBD), strengthens bones and accelerates the healing of fractures, without causing any psychotropic effects. “We found that CBD alone makes bones stronger during healing, enhancing the maturation of the collagenous matrix, which provides the basis for new mineralization of bone tissue. The team of experts inflicted mild femoral fractures on rats, and then gave an injection of CBD to some of them, while others received CBD plus tetrahydrocannabinol (THC, the ingredient that causes the marijuana high). Next, they analyzed the healing between them and the rats that had not received any marijuana chemicals. Their conclusion was that rats injected with CBD experienced the same effects, regardless of the addition of THC. “We found CBD alone to be sufficiently effective in enhancing fracture healing. The same team previously found that the body contains receptors which respond to cannabinoid compounds, and they are not confined to the brain. 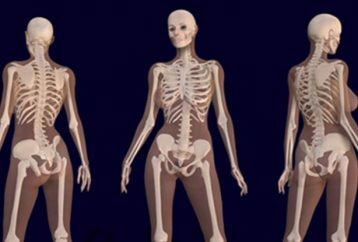 This study showed that the skeleton has cannabinoid receptors which trigger bone formation and prevent bone loss, and the second study just confirmed this. “The clinical potential of cannabinoid-related compounds is simply undeniable at this point. While there is still a lot of work to be done to develop appropriate therapies, it is clear that it is possible to detach a clinical therapy objective from the psychoactivity of cannabis. The medical properties of marijuana are numerous, and it is primarily used to boost appetite in the case of AIDS, to lower the side-effects of chemotherapy, and to soothe chronic pain. Numerous studies claim that it can regulate blood sugar, decelerate the HIV progression, and treat multiple sclerosis and Parkinson’s disease. The journal Neuropsychopharmacology published a 2013 study which discovered that CBD is as effective as one antipsychotic drug, which is commonly used in the treatment of schizophrenia and paranoia but causes no side-effects. Other studies have also found that CBD can be used as a safe antipsychotic. Marijuana is still technically illegal under U.S. federal law, but 17 U.S. states allow the use of CBD for research or for limited medical functions. Plus, the laws of 23 other countries permit the medical use of marijuana. However, marijuana is still classified as having “no currently accepted medical use” by the federal government. What might be a change in this approach is the recent decision of the FDA to approve the use of CBD extracts an experimental treatment for the Dravet syndrome, a rare form of childhood epilepsy.